For over 50 years, this grocery store has belonged to Mrs Amara’s family. She tell us that this is a family business, which attracts lovers of bikes, sports and good ponchas. It is decorated with sports props, mainly national and international scarves and even regional clubs, like the Canicense. They offer the dish of the day and barbecues of entrecosto, chicken and beef. The tapas “dentinhos” vary: wine and garlic pork, pasta and beans “feijoada”. The regional poncha and the fisherman’s poncha are the most popular. This snack bar used to belong to Mr. João Vermelho, hence the name. It was about 3 months ago that Márcia and Dionísio Teixeira acquired this establishment. They serve poncha and regional tapas. Chicken wings, stewed stews and pork ears are some of the specialties. Here you can alço attend fado performances, on one of the last Saturdays of each month. Two and a half years ago, reopened the bar “Girinho”. 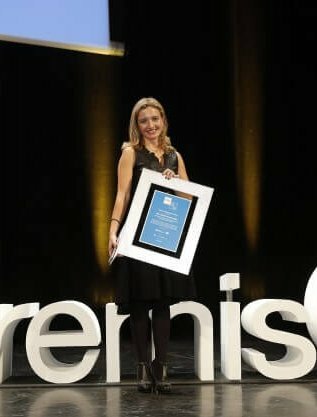 Carla Sá accepted this challenge with a smile on her face. This was also how she greeted us, and served us a wonderful tangerine poncha. Tapas include pasta and fried corn. The decor of the bar is very cute, pink and cozy. 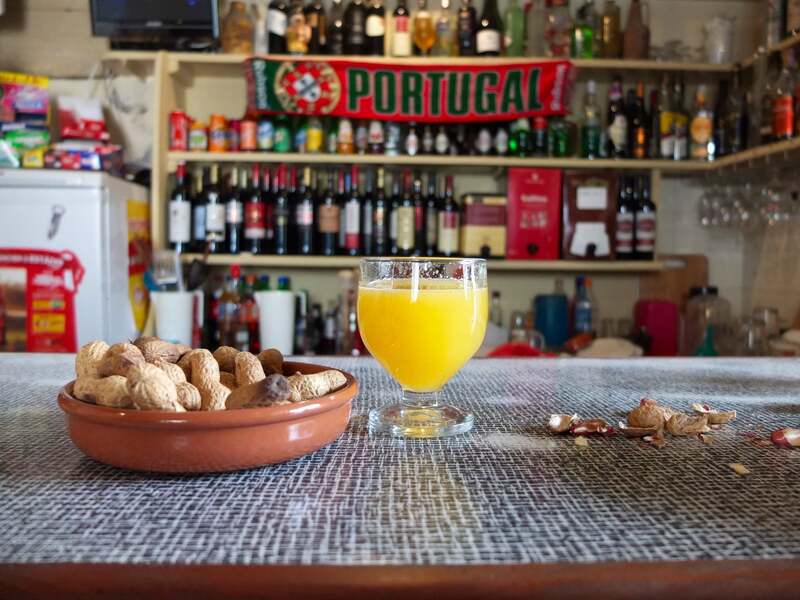 Arsénio is also a family bar with a lively and chatty atmosphere. Scarves and sports sweaters decorate the ceiling and the walls. A highlight is the autographed CR7 sweater! The fisherman’s ponchas are very famous and so are the tapas: chicken wings and potato chips with garlic and oregano! Moisés Snack – Bar owes its name to Grandfather Moisés. For over 50 years this family has been receiving guests from various parts of the island. The main customer is Madeiran and comes here looking for beer and poncha. I was quite surprised by the variety of the offer. Paulo César, grandson of Mr. Moisés, sells about 145 different brands of beer, of different types: Trappist, Weissbeer (of wheat), Special and Craft. Trappist beer is a type of beer produced by monks of the Trappist Order. Of the 171 existing monasteries, only eleven are allowed to mark their beers with the seal of authenticity. The tapas are also delicious. I recommend the liver stew and potatoes or “semilhas”. This snack bar is located next to a bridge, once made of wood. It is also known by the “Shakira” Bar. The origin of this last name is due to a celebration of Carnival, in which the owner of the establishment had put extensions in her hair with two colors, like the famous singer, Shakira. It was with this spirit of joy and warmth that the owner, Mr. Adriano Nóbrega, welcomed us in his bar. He runs this business for over 20 years. Several types of poncha were being served, but apparently the regional, orange and lemon ponchas are the most requested. It is also famous for the wheat soup, chicken soup, cakes (queijadas) and good homemade bread. About 30 years ago, this was a famous stop point, known for the poncha of Mr. Jordão, husband of Mrs. Maria. Prior to the construction of the tunnels, this road was very crowded, the main connection road between Camacha and Santo da Serra. Today, although less busy, this spot still opens every day. Its specialty is the homemade bread Mrs. Maria bakes each weekend, lupines and poncha – a perfect blend of honey, lemon and rum. This was the last stop of this route. If the first route of ponchas enchanted me by the discovery of amazing places and memorable flavours, the second one was the realization of the joy and the hospitality, that revolves around this drink. This is undoubtedly a madeiran tradition, which reunites friends, family and strangers in conversations at the counter table, tasting tapas “dentinhos”, ponchas and even listening to music – The perfect recipe for a cheerful Saturday afternoon. Thanks to my friends, who accompanied me and organized this route. My sincere thanks to all who welcomed us with a smile. Read the 1st Route here. Looking for hotels to stay in Madeira? Check some of my favourites here.